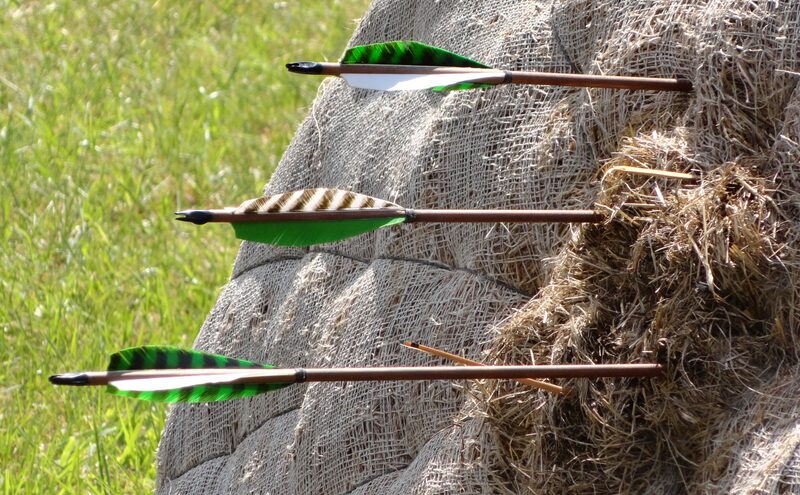 The drawn bow opens a threshold held between left hand and right; where potential trembles, an arrow rests. Can the archer hold the patient ground as the tension ripens to that undivided moment of surrender? Will he loose himself into the dynamic stillness of being from whence the art emerges? The unwavering eye looks ahead. The humid and hot breath of Summer is trailing south, as the nightlong cool-downs, and the pensive Bush Crickets with their Autumn song, ignite old memories of childhood poets, river bluffs & travel. Even now, Yellow Poplar leaves have begun the turning; in their golden conclusions they fall, lighting up the forest floor. Spiny green husks swell between the serrated leaves of a big Chestnut standing deep-rooted before our home. Her kind were brought from Asia to soften the sad loss of our own in-kind native. She’s preparing a big feast this year, and the impatient squirrels can’t help but sample the season filled nuts, “green” as they still are. Homage to you, bearers of arrows, and to you bowmen, homage! Homage to you, fletchers, and to you, makers of bows! Friction generated light streams from the galactic sky this week, an event worth losing some sleep over. Since the Sky Range at Nowhere Shire trends along a wide North/South axis, were given a fair view of the late summer star field. We’ll be watching, and while Perseid sows the smoldering seeds or casts the burning arrows, we may let the nightbirds fly up-range, joining this interplanetary conversation. Archery is a visionary experience involving far more than the eye. Maturity in the art is evident as the student moves from eyesight to insight. As she brings more of herself into the praxis, the archer claims the range looking through the eyes, rather than simply from them.